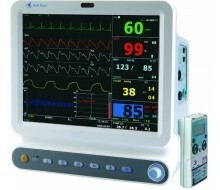 NICU Monitor. Devised specillay for neonatal. 15 inch high-brightness touch screen; triple color eye-catching alarm light; concealed buttons; built-in lithium battery. ZD100 is a networking system through both wired and wireless connection. It could connect 32 patient monitors, and expanded to even 64 if required. Good value for money; 10.4 inch screen for ZD120B, 12.1 inch screen for ZD120; multiple parameters available in a compact body; no-fan design. 8.4 inch touchscreen; Embedded handle; Able to use module; 1.6kg of weight; 5 hours of battery life; No-fan design; Multiple interfaces for different departments. Ideal for operation room, Two module slots, plug and play; Embedded handle; Built-in 3-channel thermal printer; Two lithium batteries can continue iMD12 working 6 hours. 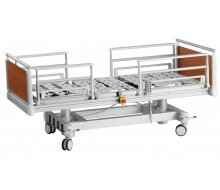 This patient bed is for fulfilment of the requirements in ICU. The special designs of the model will make the patient feels home-like whilst being cared. Color and furnishings are customizable. 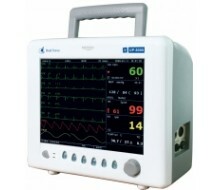 Genius-15 multi-parameter monitor is especially designed for anaesthesia use. 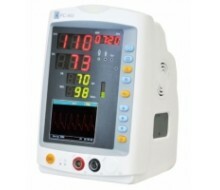 It can monitor standard parameters of ECG, SpO2, RESP, NIBP, TEMP and PR. 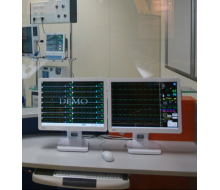 With•a CSM module, it can also monitor parameters of CSI, EEG, EMG and BS% with alarm. 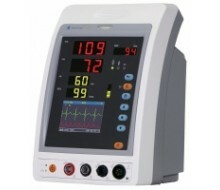 The UP-8000 multi-parameter monitor uses a 12.1&quot; high resolution color LCD screen. It has a portable handset with wireless connection to main unit for data processing. 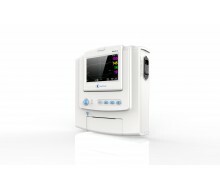 The multi-parameter monitor offers optimized NIBP measurement modes for adult, neonatal and pediatric patients. It achieves automatic analysis of 20 arrhythmia waveforms. Our Advance-120 multi-parameter monitor with high resolution color TFT display, and it has many functions as well as our Classic-120 plus. 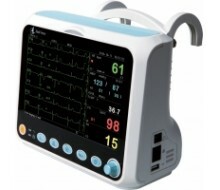 Classic-120Plus multi-parameter monitor is designed and made on the basis of Classic-120 multi-parameter monitor. 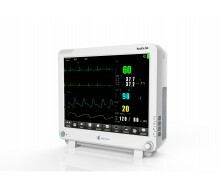 However, with a 12.1&quot; color TFT display, it allows simultaneous display of up to 9 curves and can store up to 800 groups of NIBP data. Accessories for adult, neonatal and pediatric patients are available. 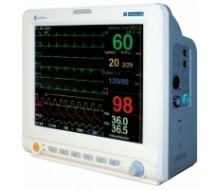 The multi-parameter monitor provides visual and audible alarms with individual alarm setting. Maximum 480 hours trend graphs enable nearly all parameters and trends to be listed. 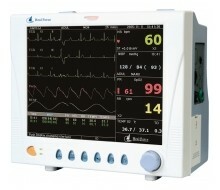 The multi-parameter monitor uses a built-in lead acid battery. Our Deluxe-70 multi-parameter monitor just weighs 1.3kg with battery. 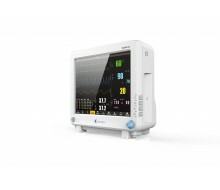 Lightweight and portable, it provides bedside monitoring and allows easy patient transport. It comes with a 7inch color display which allows simultaneous display of up to 7 curves. 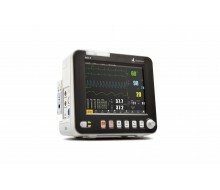 The Classic-90A patient monitor is a kind of multi-functional hospital equipment with compact and efficient system for routine and critical patient care. 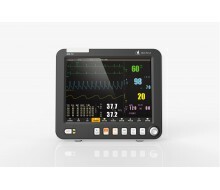 It provides functions such as continuous monitoring, real-time recording and display of vital physiological parameters including Oxygen Saturation (SpO2), Pulse Rate (PR) and Non-invasive Blood Pressure (NIBP). 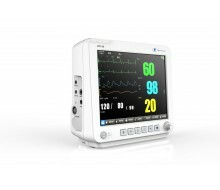 Our vital signs monitor can measure parameters of SpO2, NIBP, pulse, temperature, etc.It has a LCD screen for ECG and respiration waveforms.The vital signs monitor comes with a large LED color display which allows users to clearly see all values. Nellcor SpO2 technology is optional. 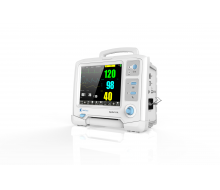 Anaeston 5000 anesthesia machine has integrated all major ventilation modes such as assist, control and assist-control ventilation. 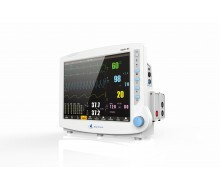 It offers comprehensive monitoring and has a clear display interface, to help perform high quality anesthesia delivery and management. 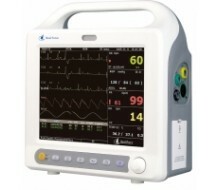 Anaeston 3000 anesthesia machine provides an affordable and flexible anesthesia solution for now and the future. Our customers can start with routine application. 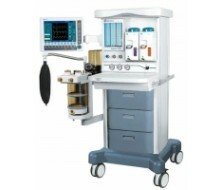 The anesthesia machine is upgradeable to better meet customers' anesthetic requirements. 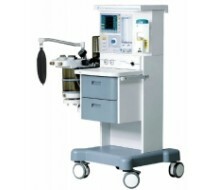 Modern anesthetic workstation expansion is also feasible to greatly improve the workflow and cut down the operating cost.